the most experienced in the market. 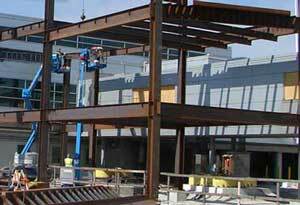 K&K Ironworks highly trained crews of riggers have erected structural steel, stairs, railings and miscellaneous metals projects for over 35 years. K&K has the ability to self-perform projects large or small. Along with experience comes a focus on quality and safety from the forest step to last.